The best LEAKAGE PROTECTION with 7 slim, flexible, and soft layers. 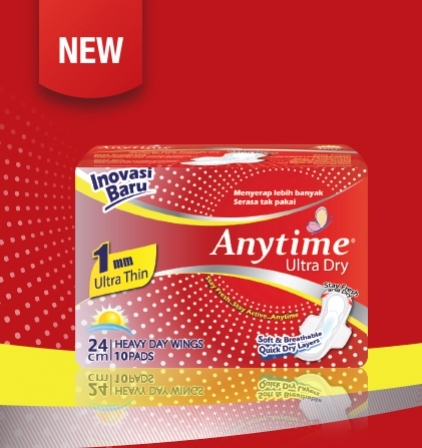 15% THINNER with absorbence up to 2X more than ORDINARY ULTRA SLIM, EXTRA SLIM, ULTRA DRY sanitary napkins. Its revolutionary QUICK DRY and WETLOCK systems to keep its surface dry for longer period of time. 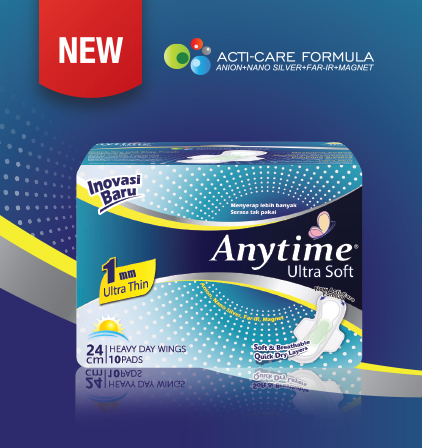 The best ULTRA SLIM WINGS sanitary napkins with ACTI-CARE formula to help you feel HEALTHIER and FRESHER. Absorb INSTANTLY and keep on DRYING up to 6 HOURS. Dry instantly for longer period of time so you can enjoy all of your activities. 7 Protection Layers with QUICK DRY and WETLOCK technology PLUS high performance ADL layer and wings for guaranteed protection. 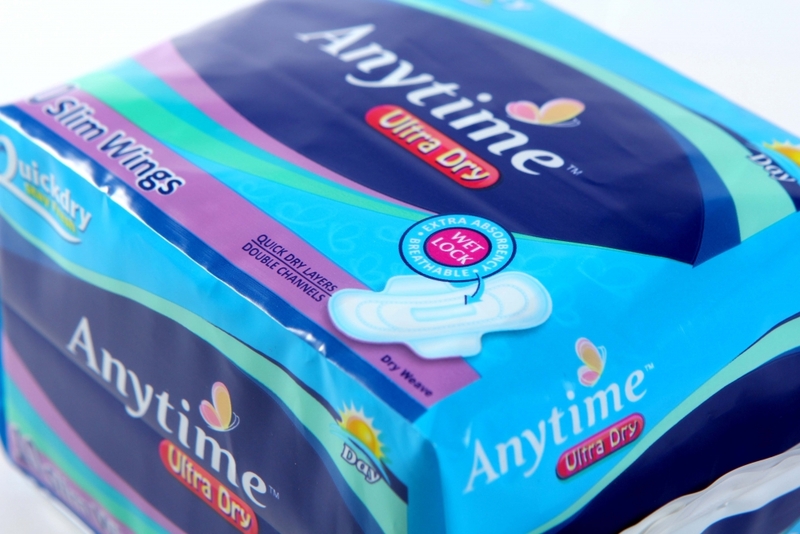 Simply THE BEST ULTRA SLIM Wings sanitary napkins ever. Absorb up to 5X MAXI and 2X SLIM sanitary napkins. 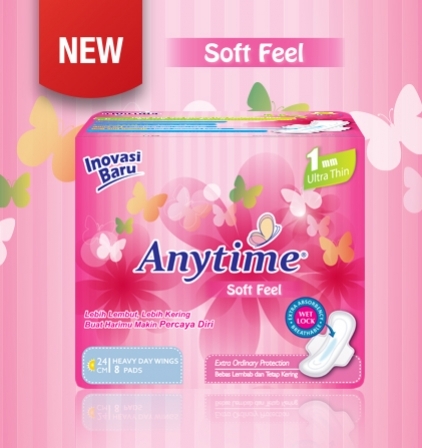 The only sanitary napkins you need during your heaviest period – up to 12 hours protection. Breathable layers to keep your sensitive skins FRESH and avoid any skins irritation. Perfectly THIN.Perfectly DRY. All you feel is COMFORT. 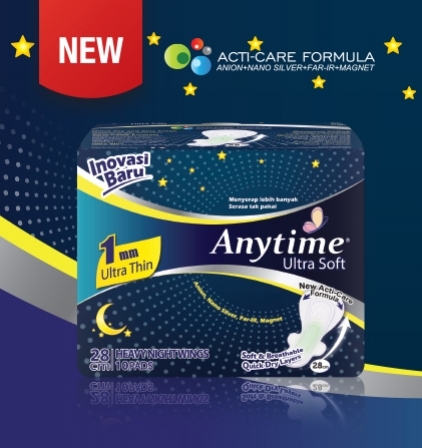 The best ULTRA SLIM WINGS sanitary napkins with ACTI-CARE formula. HEALTHIER and FRESHER and feel BETTER. Dry Weave Micropores with MAXIMUM absorbence, and keep on DRYING up to 6 HOURS. QUICK DRY and Breathable Dry-Weave surface to absorb 100% faster with ADL layer. 7 Protection Layers with WETLOCK technology allowing to absorb 3x MAXI and 3x ordinary SLIM. 6 hours protection with absorbence 250% more. SOFT Touch with MAXIMUM absorbence, and keep on DRYING up to 6 HOURS. QUICK DRY and Breathable Soft Touch surface to absorb 100% faster with ADL layer. 7 Protection Layers with WETLOCK technology allowing to absorb 3x MAXI and 3x ordinary SLIM. 6 hours protection with absorbence 250% more. Stay HEALTHIER and FRESH with ANION THERAPY layer. ANION CHIPS (Japan Technology) layer will prevent and reduce any potential infections which harm womens’ organ, balance your hormone so you will feel FRESH. QUICK DRY and SOFT SURFACE with BREATHABLE materials will absorb liquid immediately and feel DRY. Giving you the FRESH and ACTIVE feeling every day. 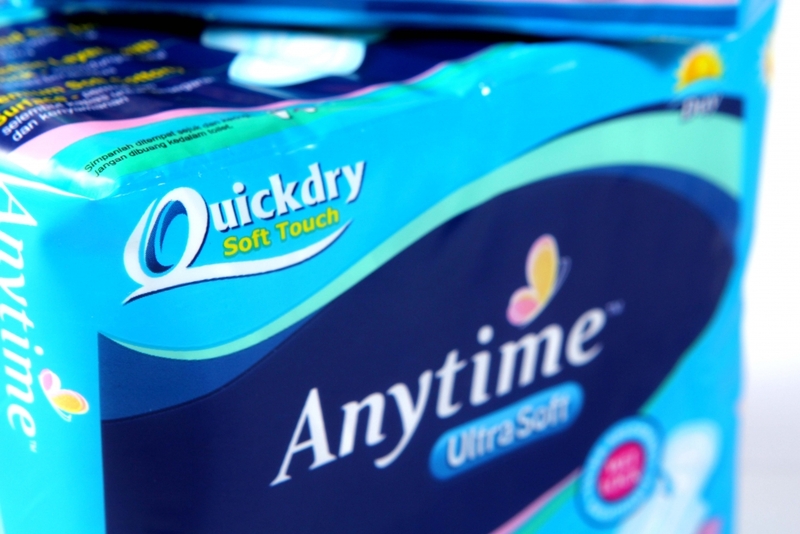 Slim, soft, and quick dry surface with 5 Protection Layers with WETLOCK to make you feel FRESH, ACTIVE, and CONFIDENCE.